There are lot’s of advantages to hiring a local countertop fabricator. First, I’ll show you how to find them and then I’ll show you how to make sure you’re getting a fair price. After that we will go over the advantages of buying directly from a local company, instead of a big box store, and wrap it all up with the countertop buying process so you know what to expect. 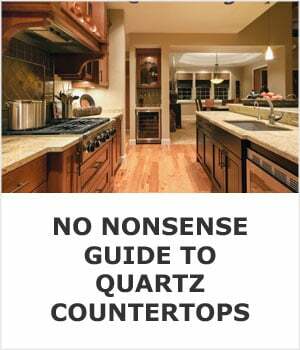 There are a few simple ways to find companies that make quartz countertops. Let’s start with my favorite, asking friends for recommendations. Do you know anyone that has remodeled there kitchen in the last few years? As long as they got a stone countertop, it doesn’t have to be quartz, ask them who they used and if they would recommend them. Facebook has a useful feature that allows you to ask for recommendations on your feed. If you’re working with a contractor their opinion is valuable too. They know who is easy to work with and does quality work. You can ususally find at least a couple this way but you’re probably going to need one or two more. Another good resource is Yelp. Yelp has an active community of people that review local businesses they have used. 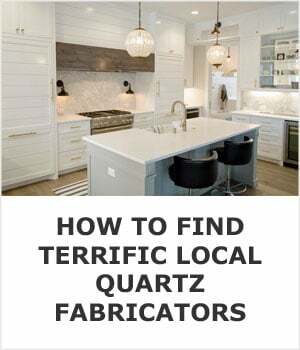 They’re famous for their restaurant reviews but are just are useful for finding local quartz fabricators and distributors. A few interent searches will help you dig up a few more. Head to any search engine and try searching for “stone yard” and “countertop fabricators”. Google and Bing will both list local companies near the top of the page and in some cases there will be reviews to go along with those listings. These three methods combined should give you plenty of quartz fabrication companies to choose from. Reading reviews isn’t a good enough reason to hire one fabricator over another, so the next step is to pay them a visit. Now that you’ve narrowed down your search to a few local fabricators, it’s time to drop by and see things for yourself. Visiting them in person allows you to see the slabs of quartz you can buy, and gives you some face time with them to make sure they’re going to be accomodating and easy to work with. If you’re not on the same page as the fabricator, or they rub you the wrong way, it’s better to figure that out before any money exchanges hands. If you’re working with an interior designer, decorator, or a contractor then it’s not a bad idea to see if they’ll stop by the fabricator with you, especially if you’re inexperienced with this type of thing. 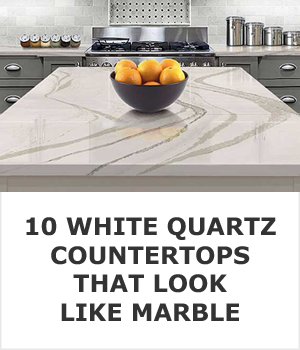 They’ll have plenty of experience and will be able to help you choose a good quartz countertop. Seeing the quartz in person is essential. If you find something you like, it’s a good idea to get a sample piece of it so that you can make sure it’ll match the rest of your kitchen. If there’s a particular company that stands out from the rest, maybe they have overwhelmingly positive reviews or just a good reputation locally, or perhaps they were referred to you personally, they’ll be worth visiting first. In any case, you’ll want to try to visit more than one company, especially if there are numerous fabricators nearby. Now that you’ve visited a few local companies it’s time to get some quotes. If you have accurate drawings of your kitchen some companies will be happy to give you a rough estimate based off of that. Others won’t give you one until they visit your home and take measurements and that’s fine too. Set up an appointment to let them come in and do their thing. In most cases they won’t be in your home for more than fifteen to twenty minutes. 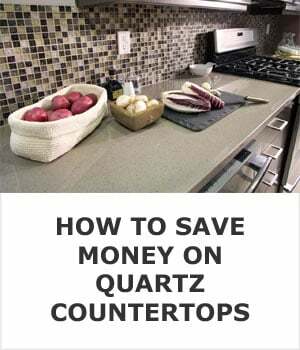 If you’re simply looking to get a rough idea of how much you’re going to pay check out our quick guide on the cost of quartz countertops. Once you start getting estimates back you might be surprised by the difference in price. If one quote for quartz is way lower than the rest you should probably toss it out, the same rule applies if one is way higher than the rest. You don’t want to sacrifice quality by hiring the lowest bidder and you don’t want to be overcharged either. You probably have two or three quotes that are very close in price to one another so you know that these are fair cost estimates. Choose the fabricator that made you feel the most comfortable while you were at their showroom. If the company that you enjoyed visting the most is a little bit more expensive than one of the others you can always give them a call and let them you got a cheaper quote and ask them if they would match it. In a lot of cases they will knock a couple to a few hundred dollars off to earn your business. 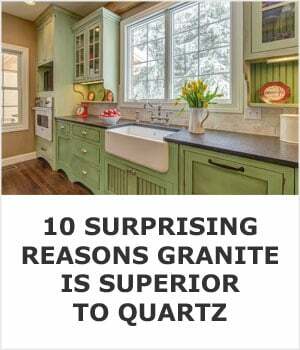 You can pick out the exact slab of quartz that you want. 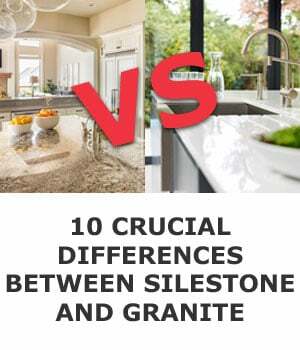 No two slabs of natural or engineered stone are exactly the same, so picking out your slab in person means there won’t be any unpleasant surprise. If they don’t have full slabs on hand you can more than likely visit their distributor to pick one out. 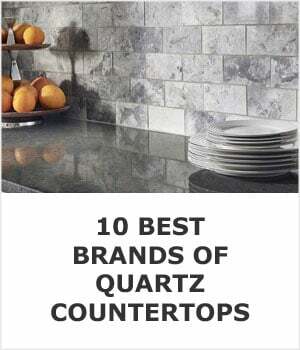 Quartz distributors usually have a large warehouse that homeowners can walk through that has hundreds of stone slabs for you to consider buying. If that’s not possible then you should see the slab after it gets shipped to your fabricator. This way you can approve it before they start the fabrication process. 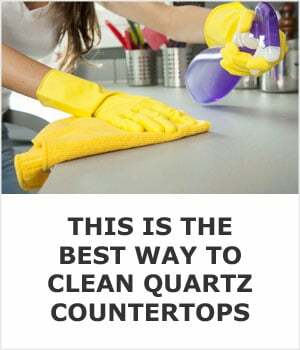 If you purchase your quartz countertop from one of the big box stores you won’t have this option, but they will hire one of the local companies to do the work for you anyway. It’s always best to cut out the middle man and deal directly with local quartz companies, even if it feels a little intimidating at first. It’s not unusual to be asked to put down a deposit on the stone you picked out. The deposit is so that they can purchase the material and it also ensures that you’re a serious customer. It’s not unheard of for people to back out after ordering a slab, so this ensures that you’re not going to get cold feet and leave them with a slab of quartz they have nowhere to install. Around this time you’ll also discuss sink and faucet options as well as what sort of edge detail you want. They’ll be able to show you lot’s of different options so don’t be intimated by this. It’s a fun part of the process. Here’s a quick primer on edge details and sinks for stone countertops. After that’s done they’ll visit your home to take measurements for your new countertop, if they haven’t already done so as part of the quotation process. This is a good opportunity to ask any final questions you may have. 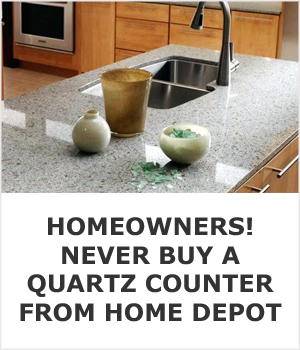 In most cases they’ll return in four to six weeks to install your new quartz counter. As long as your carpenter did a good job installing and leveling your cabinets the countertop will be installed quickly. One thing that kind of stinks is that you cabinets have to be installed for the countertop guys to take accurate measurements. So that means you’ll be staring at your beautiful new cabinets, if you’ve done a full remodel, and they won’t have a countertop on them. In my own home the kitchen was fully completed for a couple weeks before the countertop got installed. Don’t be discourage by this, it’s worth the wait. Find fabricators - We showed you how here. Collect quotes - You need at least three. Choose a fabricator - Find a company that makes you feel at ease about the process. Choose a slab - Don't pick from a sample but pick out a full slab of quartz instead. Templating - The fabricator will visit your home and figure out exactly how the countertops will need to be cut by creating a template. They’ll mark things like where the sink will be located and where the appliances are. Fabrication - This is the part of the process where the fabricator cuts the quartz to match the template they’ve created. Installation - Finally, the wait is over and it’s time to have your new countertop installed in your kitchen. The exact process, and what is required of you, may vary a bit from fabricator to fabricator, but they’ll let you know exactly what they need. When you break it down into one step at a time, it feels a lot less overwhelming. It’s generally not a complicated task, the most important part is finding an honest and reputable company - once that’s done, the entire process becomes much easier.